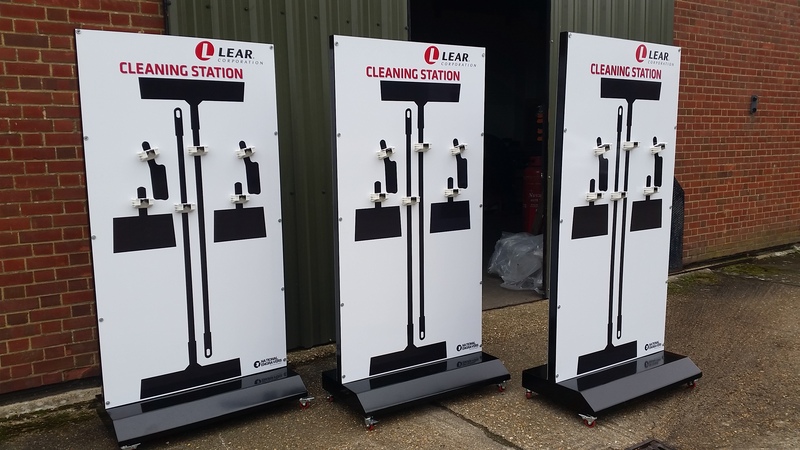 We can supply our cleaning stations on a robust steel mobile frame. Price includes the design and print of your board along with the mobile stand. The frame is made to order from steel bar, welded then powder coated. These are very robust! Our standard 5S Cleaning Stations are typically 1850mm high x 1200mm wide and are suitable inside or outside. This mobile version is particularly valuable used around large manufacturing plants and shop-floors. 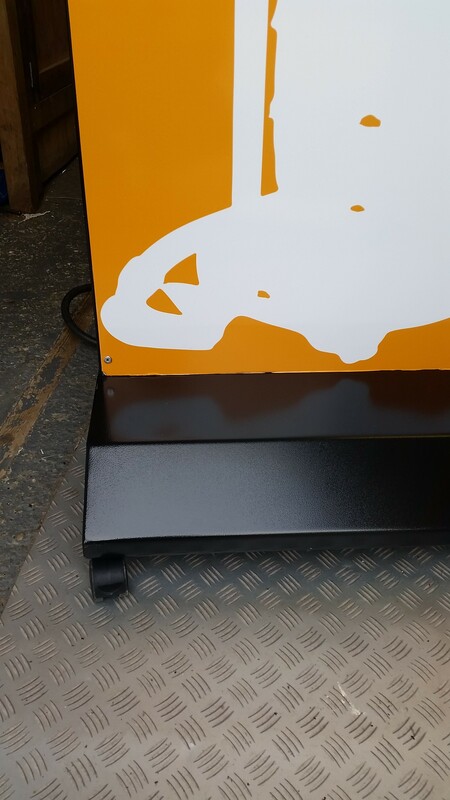 The steel frame is expertly made with locking casters and supporting frame to hold the cleaning station board in place at all times. We can either rivet or attach boards with self drilling bolts to allow easy board replacement. We can supply colour coded cleaning equipment & accessories (e.g mops, buckets etc) too. Please contact us for more details (info@national-engravers.co.uk). Using the latest digital printing technology we can print on vinyl or direct on to a board-any shape or colour of your preference. Wall mounted or fixed to a movable frame. All components including brushes, dust pans, mops & buckets can be supplied too.